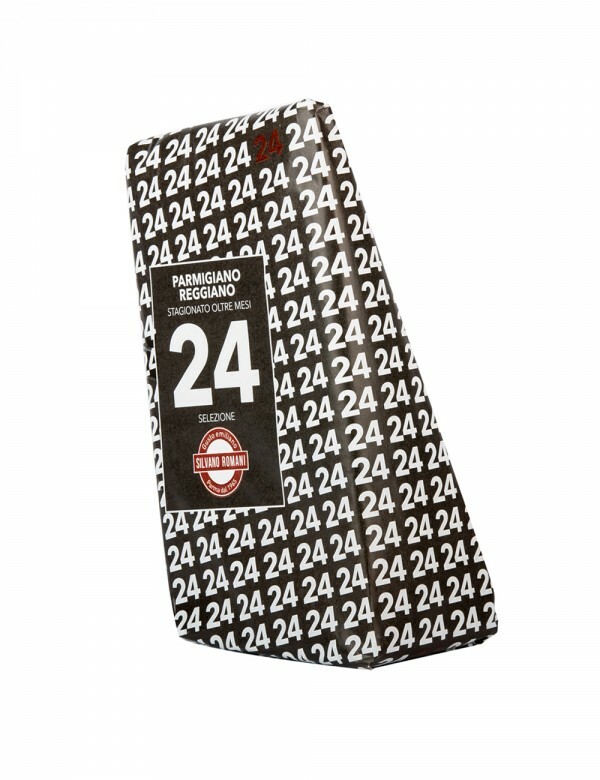 PDO Parmesan Cheese aged for 24 months Noi da Parma selection black wrapped. The natural flavor and the size are perfect for all the family. You can find the piece of 1 kg already vacuum packed and hand wrapped. 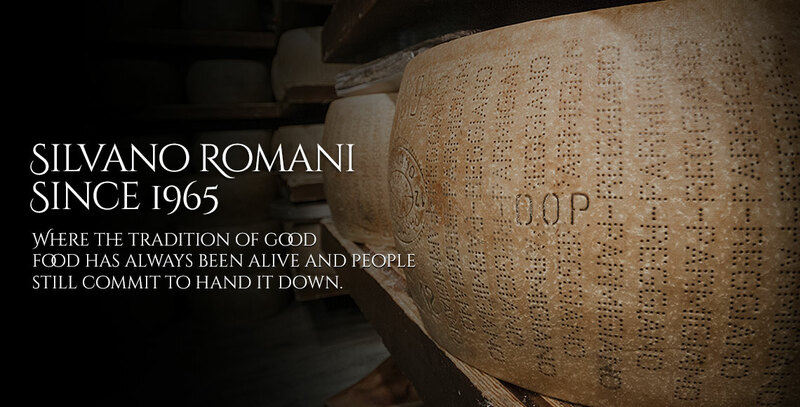 Parmigiano Reggiano DOP is guaranteed by real conossieurs. This is the most delicate cheese. 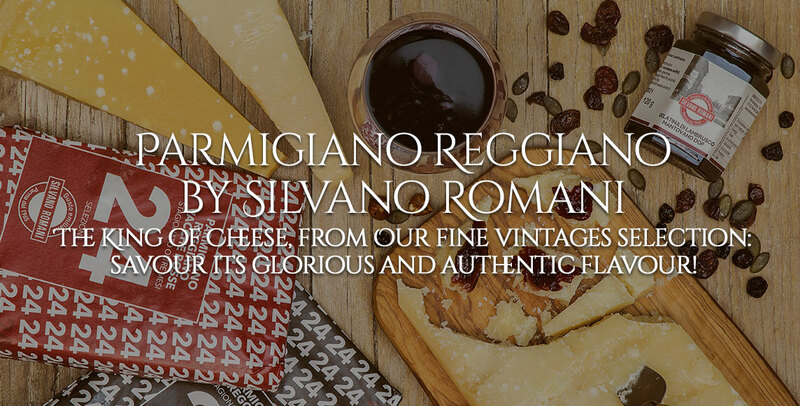 Parmigiano Reggiano DOP 24 months is a milk's masterpiece. Don't you know that 1 kg of Parmigiano is made with 16 lt of milk? 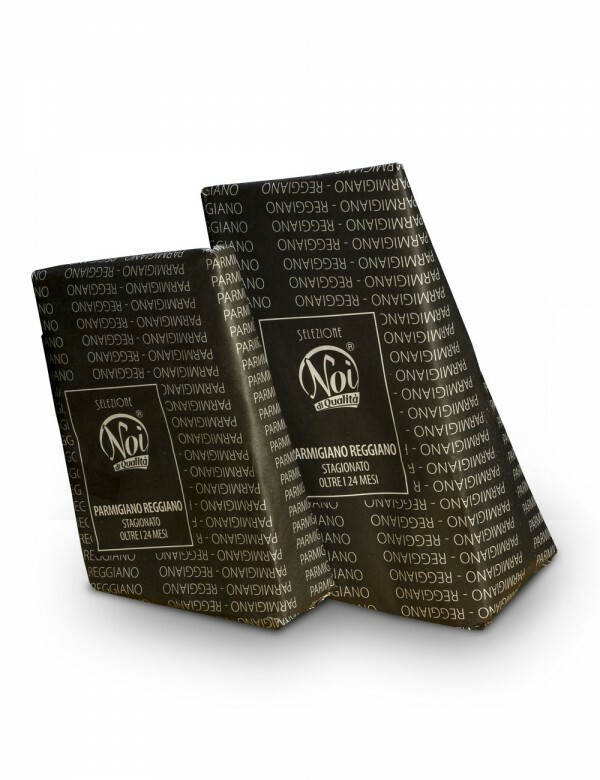 We use only the high quality milk, without OGM. Check out how to preserve it and how to enjoy it! 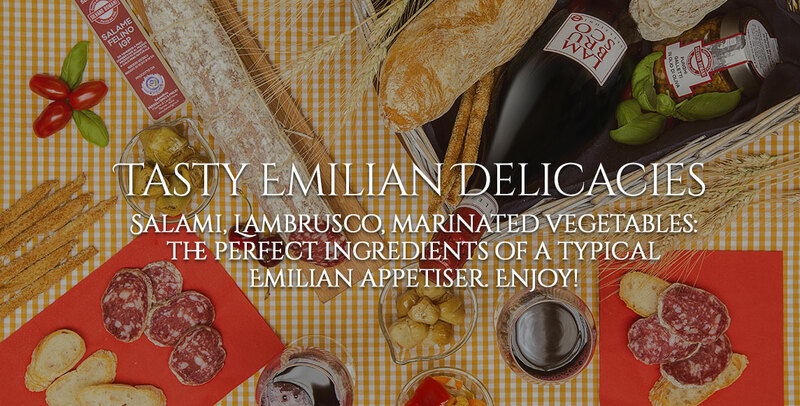 You can savour it during a mealor add it grated to your pasta dishes, rice dishes, soups and veloutès, parmigiana or with vegetables. You can also use the crust, dissolving it in soups. Cut little pieces of Parmigiano and put it in a salad with Balsamic of Modena or with meat carpaccio season with olive oil. It is sublime with plums figs and fresh fruit. You can combine it with mustards and flavour honey.